First of all, we would like to let you know, that with your help, we were able to purchase a good car. We were able to get a 2006 Hyundai Accent. 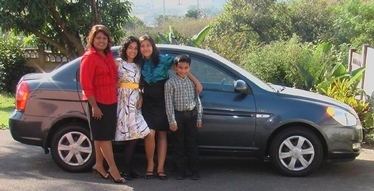 Now that we have a reliable car, we have been able to start new discipleship groups. One is with our landlord's family. Everyone has been extremely blessed and has been telling others about the ministry of the word. The others have expressed interest in having groups start in their area. One potential group is about 150 miles away with a church. So we are believing that those opportunities will come to fruition. Recently, we were able to minister in a local church. Many responded to the invitation to come forward for ministry. Even though this was a predominately East Indian church, one lady turned out to be a Zulu. As she was telling me about her problems, I felt impressed to make sure that she was born again. After briefly explaining the gospel, she stated that even though she "goes to church", she never actually believed from the heart what I explained. So I asked her if she wanted Jesus and she said yes. I didn't lead her in a "sinner's" prayer but I told her to talk to Jesus herself in her own words telling Him that she wanted Him to save her and be her Lord. While she did just that, she began to cry. After asking her what was happening, she said that she felt Jesus touching her heart. 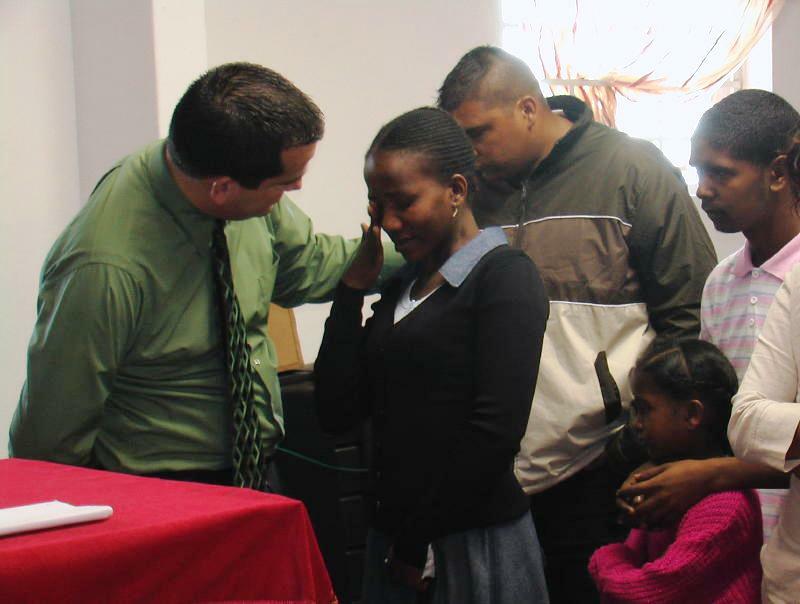 I was very blessed in that this was our first Zulu salvation since coming to South Africa. We believe many more will follow! We are sure that next month we will continue to have exciting news to share with you! Remember, none of this is possible without you. You make it possible to reach people with the Good News of the Gospel!